STRASBOURG, France, March 11, 2014 (ENS) – Members of the European Parliament’s Environment Committee Monday approved a report for reducing the use of single-use lightweight plastic carrier bags. The report recommends a two-stage reduction target for plastic bags across the EU’s 28 Member States. The report advances the MEPs’ process of amending the law on packaging and waste to limit the negative impacts of plastic bags on the environment, based on a proposal by the European Commission, the executive branch of the EU government. The goal of the amendment is to encourage waste prevention and reduce the number of lightweight plastic bags, defined as 50 microns or less in thickness, that litter European lands and waters. Discarded plastic carrying bags pollute soil and water and kill thousands of marine animals, the MEPs observed. 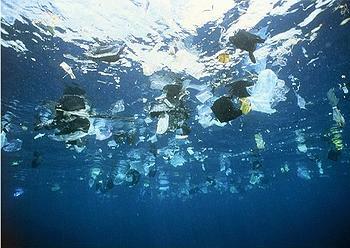 In 2010, more than eight billion plastic bags ended up as litter in Europe. 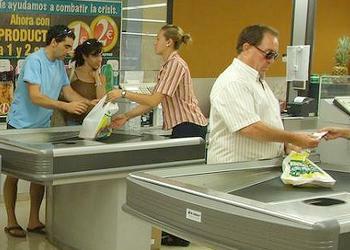 Every European citizen used, on average, 198 plastic bags, 90 percent of which were single-use lightweight bags. Annual per capita consumption of single-use plastic bags varies greatly among the 28 Member States. It ranges from an estimated four plastic bags consumed per citizen in the best performing countries, Denmark and Finland, to an estimated 466 plastic bags consumed per citizen in the worst performing countries: Poland, Portugal, Slovenia, Slovakia, and the Baltic states: Estonia, Latvia and Lithuania. the introduction of an EU-wide ban on single-use plastic bags. The report recommends introducing a two-stage reduction target for plastic bags by 50 percent within three years after the proposed law enters into force, and 80 percent within five years, which would come around the year 2020. The target is based on the EU average per capita consumption and so will mean different efforts in different Member States. To achieve the target, Member States should ensure that, at the very least, food retailers charge for plastic bags handed out at the cash register, instead of providing them free of charge, the report advises. The exact design of such charges is left up to Member States. The measure could cost some European employees their jobs. The report estimates that there are about 250 to 300 producers of plastic carrier bags in the EU, with 15,000 to 20,000 employees. Many are are family-owned small and medium enterprises, although detailed information on these companies has been difficult to obtain, the report notes, and they may not have been consulted about the legislative change. The entire Parliament is scheduled to vote on the amendment during the April session. Negotiations with the Council of Ministers to finalize the legislation is scheduled for the next parliamentary term.